We are experienced Bristol cyclists with a passion for cycling. We have cycle-toured in North America, Europe and Morocco over the last 30 years. Our family tandem adventures have taken us around Britain and much of northern and central France, with a tent on the rear rack . 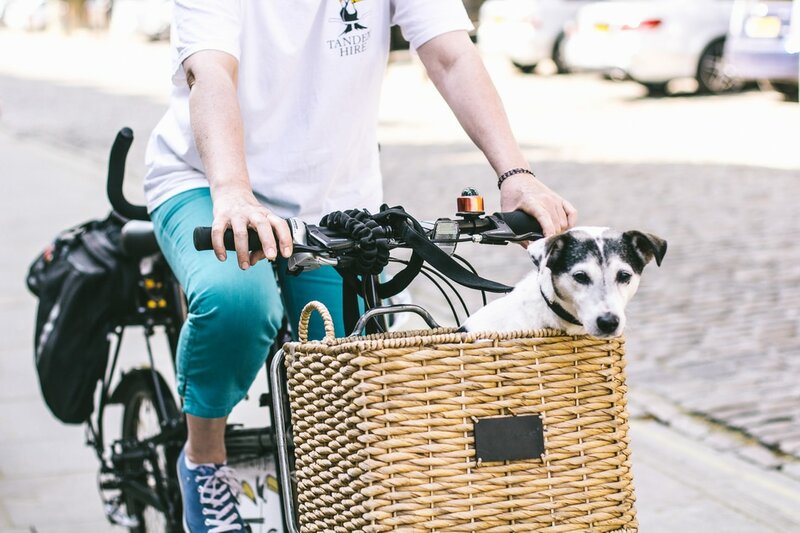 Family, children, friends and even dogs ( #DogOnATandem ) have had fun on our tandems over the years. When tandem bike cycling we prefer a leisurely pace with strategic café stops. Incredibly, were once mistaken for competitors in the Paris – Brest cycle race which made us smile. So… Allez ! Riding a tandem bike is fun and a very different experience from being on 2 solo bikes. It is one of the most pleasurable ways of exploring town and countryside together, and guaranteed to raise a smile. 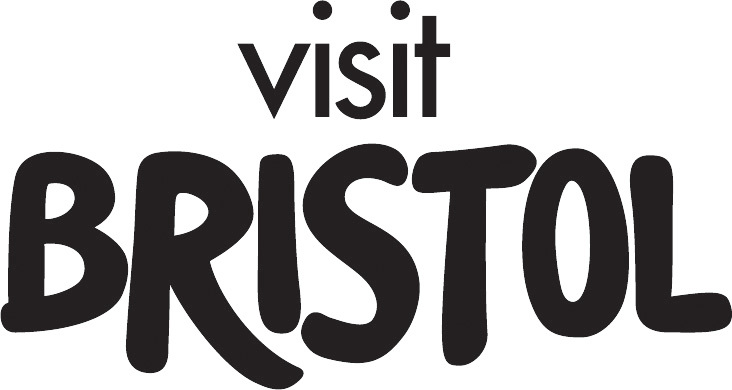 The network of cycle routes, by-ways, cafes and pubs, set within a scenically stunning urban and rural landscape, make the Bristol and Bath area ideal tandemming territory. 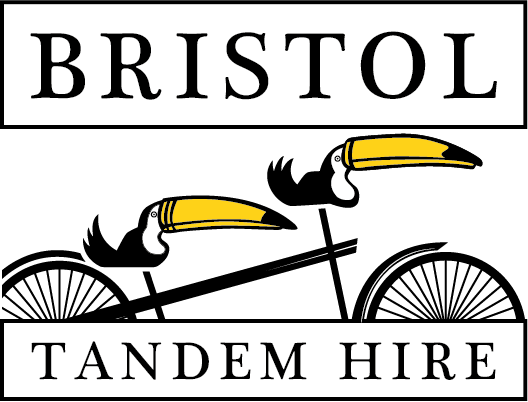 Bristol Tandem Hire is the result of our own passion for this unique way of exploring these delights. Let us help you do the same on our comfortable, easy to ride tandems.